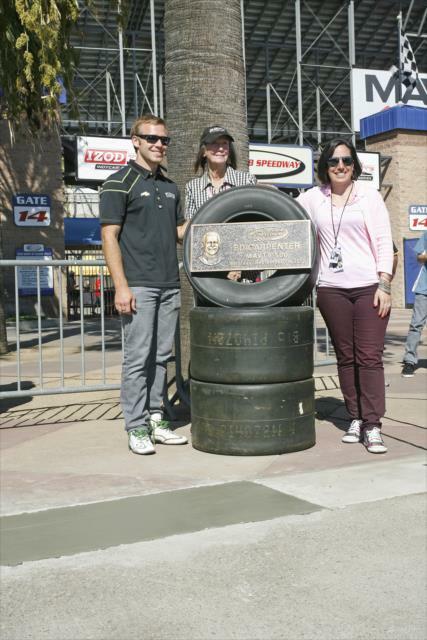 Ed Carpenter earned his second IZOD IndyCar Series victory -- for the second consecutive year in the finale and with Dario Franchitti as the runner-up. 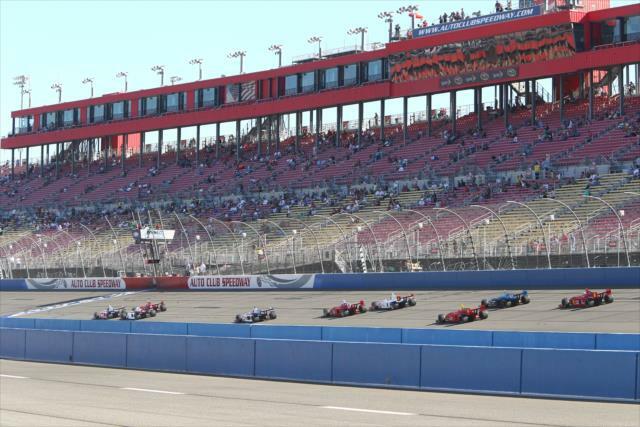 Carpenter is the first team owner/driver to win since Adrian Fernandez in 2004 (also at Auto Club Speedway). Scott Dixon finished third (the 98th top five of his career) and Helio Castroneves was fifth. "This feels great for a team that just started in November," said Carpenter, who led a field-high 62 laps in a race that featured 29 lead changes. 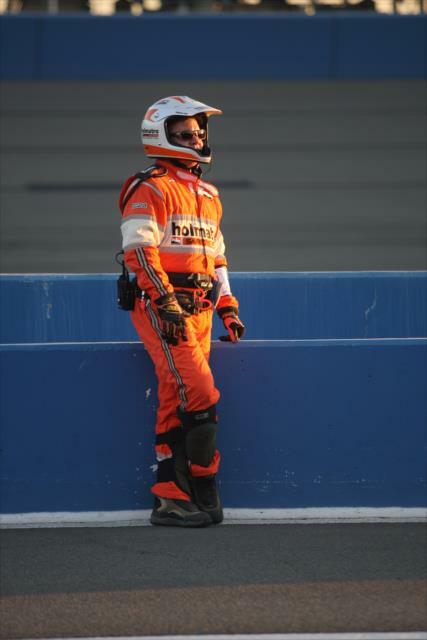 "I probably should have won Indy but I kind of messed up a little bit. We have been trying to win ovals all year and finally got it done. Good way to end the year." 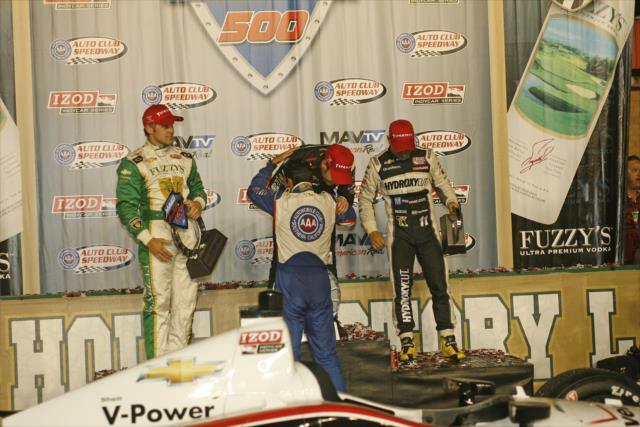 Franchitti, who won the last IZOD IndyCar Series race at the speedway in 2005, tied Al Unser Jr. and Bobby Rahal for fifth all time with 88 podium finishes. 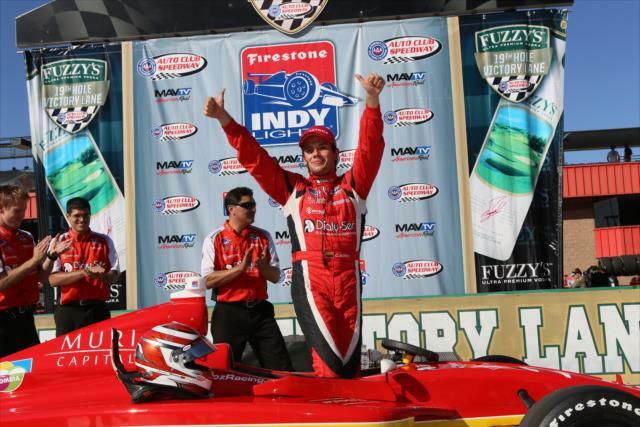 He also passed Rick Mears with his 112th top-five finish and tied Castroneves and Dixon for eighth with his 29th runner-up finish. "Almost isn't quite good enough," said Franchitti of the pass that occurred just before Sato's crash. "Ed just got a big run. Ultimately the smallest amounts, but you win by those and you lose by those." 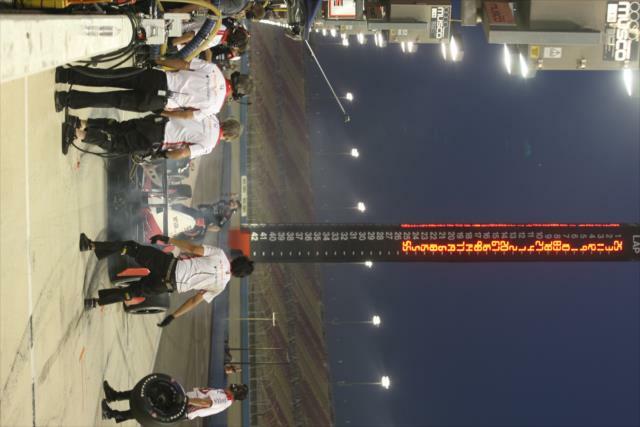 The IZOD IndyCar Series championship was Will Power's to lose entering the MAVTV 500 INDYCAR World Championships at Auto Club Speedway. After Lap 55, it became Ryan Hunter-Reay's to win. For the third consecutive year, contact in the season finale altered the title aspirations of the Aussie. The No. 12 Verizon Team Penske car "caught a seam" in Turn 2 of the 2-mile oval, spun and made contact with the SAFER Barrier while running 12th -- a few car lengths ahead of Hunter-Reay's No. 28 Team DHL/Sun Drop Citrus Soda car. "It’s the season; you can’t make mistakes like that," said a dejected Power, who had a 17-point advantage at the green flag of the 250-lap race. "My team was pushing me to get around him, and it was just a mistake." Andretti Autosport owner Michael Andretti relayed to a surprised Hunter-Reay, who 18 hours signed a two-year contract extension, that he had to finish sixth to claim his first series championship by one point. But wait. 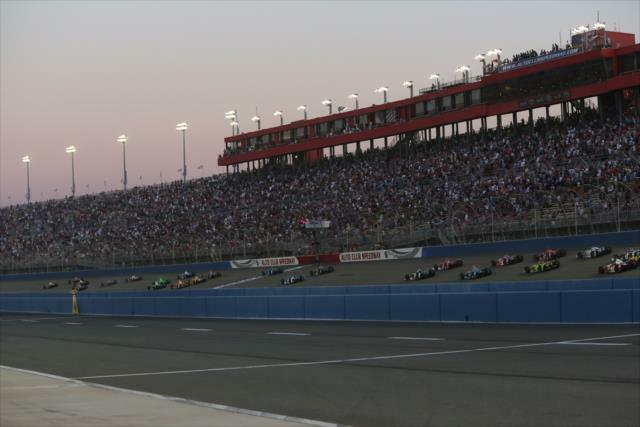 In this season of surprises, ultra-tight competition and high drama, all three collectively focused on the Team Penske garage as the crew converged to repair the Dallara chassis and collect 11 more laps to finish 24th and ahead of the retired car of E.J. Viso. That's exactly what transpired, forcing Hunter-Reay to finish at least fifth. Crews from rival teams cheered as the No. 12 entry was wheeled onto pit lane. "It's fantastic," said Power, who quickly changed back into his firesuit. 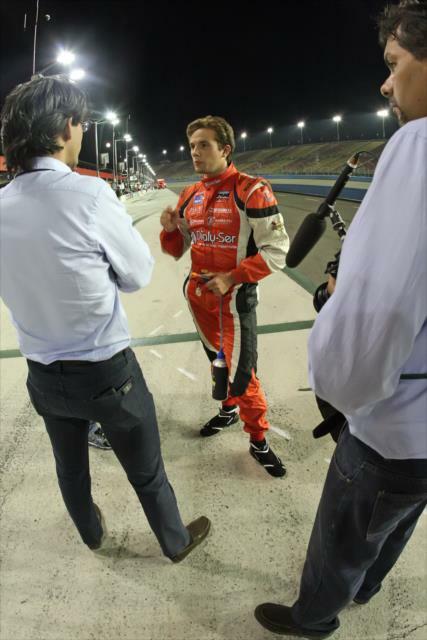 But as Power maintained throughout this three-race duel with Hunter-Reay, "You can on focus on what you can control." So he watched the remainder of the race unfold from the team transporter, hoping that others would occupy the top five positions. 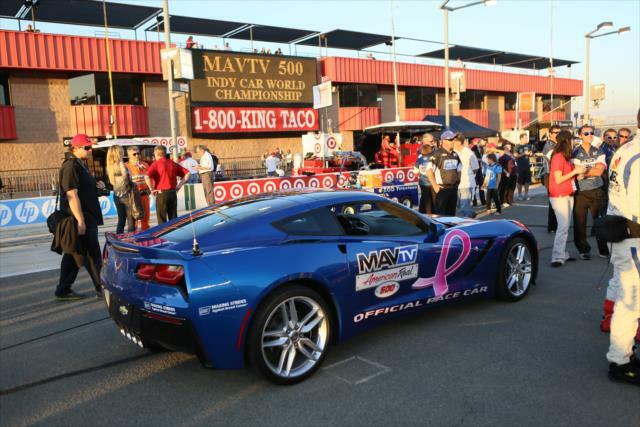 That went by the wayside as Alex Tagliani's engine expired with 20 laps left and then Tony Kanaan's car made contact with the Turn 4 SAFER Barrier on Lap 241. That created a red flag, with the restart on Lap 244. Hunter-Reay was running third on the restart, lost two positions, but the 31-year-old Floridian regained one spot when Takuma Sato's car crashed on the final lap. The difference in over 15 events on the most diverse set of racetracks in motorsports was three points over Power. "It’s a team effort right there," said Hunter-Reay, who started 22nd, and is the first American to win the title since Sam Hornish Jr. in 2006. "We were struggling all weekend. We were really in the woods. It hasn’t sunk in yet. I just drove 500 miles like it was for my life. I can’t believe we are INDYCAR champions." Added Andretti: "Total team effort. I'm really proud of him." A challenging and fast 2-mile D-shaped superspeedway with 14 degrees of banking in the turns. 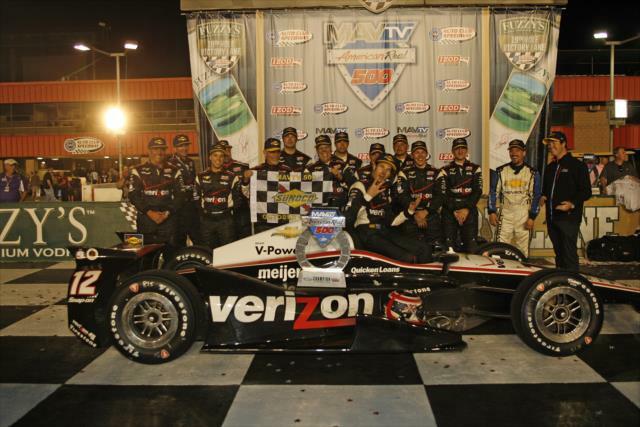 It has produced exciting Verizon IndyCar Series races through the years. 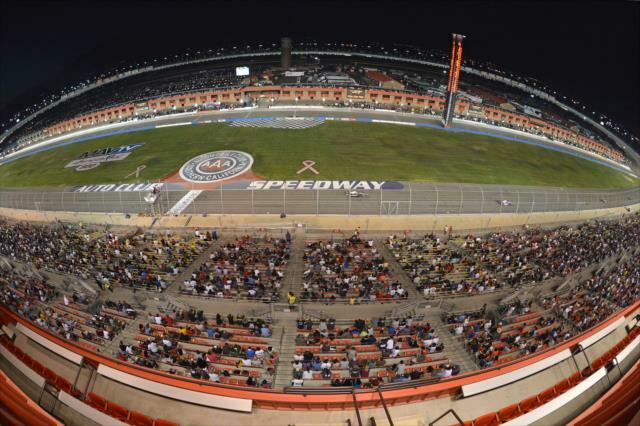 Originally know as California Speedway when it opened in 1997, the Automobile Club of Southern California became the title sponsor of the racetrack in 2008, renaming it Auto Club Speedway.